In addition to the many trade fairs throughout the year, you can also visit the Experience Center of Bellezi Premium Wellness Equipment. A beautiful showroom where you can see, try and order all products under the supervision of one of our employees while enjoying a cup of espresso or a glass of prosecco. 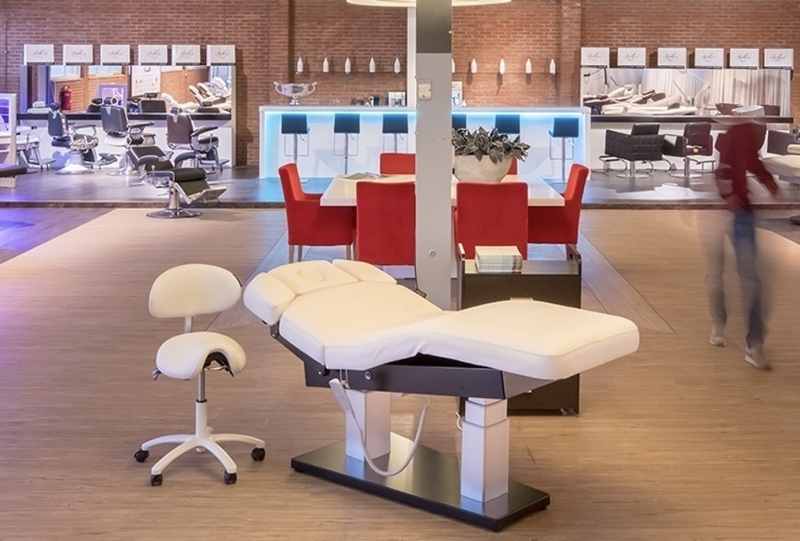 As soon as you enter, you arrive in the Experience Centre; an ambient showroom where all treatment chairs, wellness beds and accessories are on display. Our passion for superior, quality products and client engagement provides an extra dimension. Together, we will find the product that suits you best.